Sandal-maker KEEN (o.k., the company makes lots of shoes now, too) has just announced an expansion into two new footwear categories, climbing and cycling. You’ll have to wait a few months, but when these shoes debut the company promises some unique performance and comfort features, including a new KEEN sticky rubber for clinging to vertical faces, and clipless, SPD-compatible bike shoes that double as sandals. Other details are few. The press materials I received were vague thus far, with lines like “Velcro straps hold these shoes firmly on your feet but allow you the ability to put on or take them off expediently.” Duh. 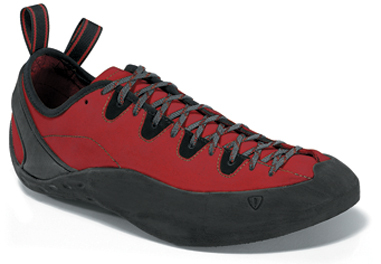 The climbing shoes, called the Broughton Direct and the Carver Direct, will go for $90. 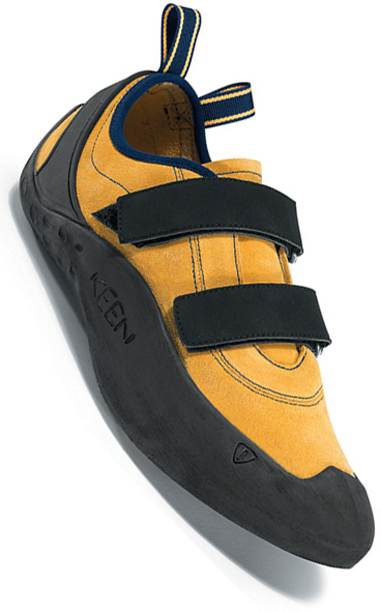 For cycling, KEEN is aiming at the casual rider and commuter with its, er, Commuter model, a $115 shoe that looks like a regular KEEN sandal, though it accepts a clipless cleat. Again, the press materials are vague, though I did get this: “The Commuter was built for both the bike and the trail—offering breathability and toe protection without requiring you to switch shoes when transitioning from hiking to riding.” We’ll see about that. I have yet to find a bike shoe that’s flexible enough for hiking at any prolonged distance. These shoes are part of the company’s spring ‘08 line, and thus are several months in the coming.